These are completely stolen from a recipe by my best friend’s Auntie Jean and I take no credit at all in their yumminess, but feel they should be shared with the world! As indeed they were at said friend’s wedding recently. I think my daughter and I ate the lion’s share…. Then, take my advice and stick it in the fridge for half an hour to firm up. Makes it SO much easier to cut up and gives you ample opportunity to pour a glass of wine or two and convince yourself that the carbs are now needed to soak up the alcohol. Cut into slices (about the width of your little finger) and lay on a baking sheet. Or if, like me, you got persuaded that your kitchen is not complete without a pampered chef pizza stone, then that will do just fine! Preheated of course. You don’t want a soggy bottom! Anyway, bake for about 12 mins at 200ºC and let them cool slightly before setting a few aside in a secret place then offering them around to the hungry hordes. I bet you eat the lot in one go! 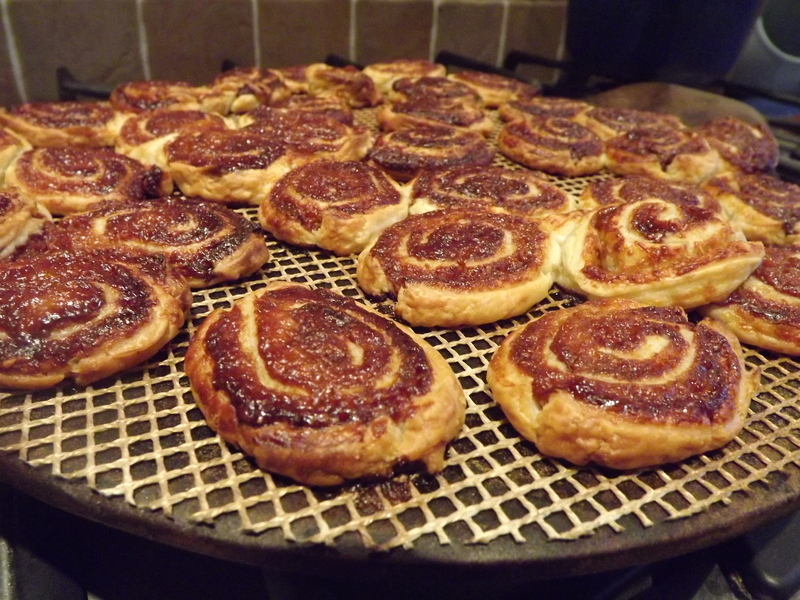 And it’s worth cooking them for the smell of marmite wafting around the house while they cook…. *This might not actually be true. At all.